Larson Jewelers : Larson Jewelers has a longtime commitment to bringing you the biggest and best selection of stunning wedding bands. From cutting-edge tungsten, from platinum to white gold, Larson is your last stop on the quest for the perfect wedding ring on any budget. 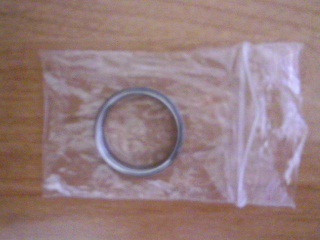 I have always wanted a Tungsten ring since my husband introduced me to them a few years back. But every ring I found was always for men. No fru-fru..pink..or even female looking diamond ones. So I was amazed and excited when tom sent me the link to the one that he was sending me. 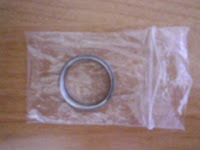 A female PINK tungsten ring! I couldn't believe my eye's I was so happy and excited! I love everything about this ring. 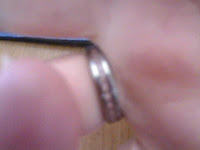 This ring is tungsten so it's very well made, the band is not one of those flimsy wedding bands that you see at the stores. Between the band is a pink fiber, which I was in total amazement when I seen the ring. 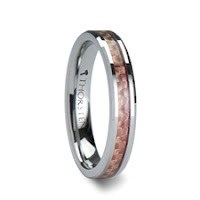 This is a beautiful wedding band that any woman would be proud to wear on her wedding day. But this ring would also be an amazing Birthday, Anniversary, Christmas, Graduation, Or even Easter Present, It's versatile to be any kind of a romantic, sweet, or friendship present. 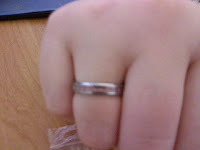 The only bad thing that I found about this ring is the rings run in the smaller sizes. Larson Jewelers has an amazing assortment of wedding bands such as Diamond, Celtic, Black, Extra Wide,White and TONS more! ♥ I receive no monetary compensation for this review. I was provided a Larson Jewelers ring to try and give my honest opinion.